I hope that my Introductory article to the PBM MAILBOX last month served to strike a few sparks of interest in the wonderful hobby of Playing By Mail among CRASH readers. In this month’s MAILBOX I’ve taken a look at two games which have provided an introduction to the hobby for many PBMers, the best established of the two being Vorcon Wars by Vorcon Games. I have just joined a new game of Vorcon Wars and, provided I survive the first few turns, I’ll be filling you in on my progress in future MAILBOXes. There is a great variety of PBM games about, but you will find me mentioning the computer moderated games a bit more than the others — human moderated games tend to be role playing games (RPGs), and if you enjoy RPGs then you can read about them in other magazines! If there are any games that you have heard of and would like to know more about, please write to me at PBM Mailbox in CRASH Towers and I’ll attempt to include details in a future column. KJC Games moderate this low-priced game in the UK under licence from the American company, Adventures by Mail. It’s A Crime! was designed with new players in mind, although it is challenging enough for experienced players. Set in New York City in the late 1990’s, the game takes you into a world where drug-crazed street gangs have grown in power and mob rule is as strong as that of the police. You play the part of a gang leader, with the ultimate aim of becoming the Godfather — which can only be achieved by making your gang as powerful and notorious as possible. 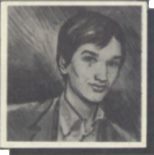 The scenario of the game requires the player to get involved in some very illegal, and on occasions rather anti-social activities and playing the game could cause offence to some people, depending on your viewpoint. I won’t go into detail here, but if you want to find out more, the rulebook can be acquired free of charge from KJC Games. KJC has over 3,000 people playing in It’s A Crime! — by far the most played game in the UK. The game is run on Apricot Xens by eight staff, and KJC hope to transfer the game software onto a mainframe linked to a laser printer in the near future. The hope is that the game will bring new blood into the PBM hobby and expand the industry; I wish KJC luck! The game is very original and too young to have acquired a rating from the FLAGSHIP readers — I’ll pass on details of the ratings it receives in due course. Although a good strategy is essential to do well in the game, I am not convinced that It’s A Crime! is necessarily as good an introductory game as claimed because of the belligerent playing attitudes it encourages. If you get the rulebook then feel free to let me know what you think. As a special offer to CRASH readers, KJC games are giving away a free rulebook, start up printout and (should you choose to play) credit for two free turns to anyone interested. After startup, each turn costs sixty-two and a half pee. Please bear in mind that this game may be found offensive by some people — playing the role of a criminal of the future involves some nasty work, and the game isn’t really suitable for young children. If you don’t like the idea of the game, don’t play it! Playing under the name of SWUDIN, Brendon fights his way through VORCON WARS. This turnsheet arrived at Chateau Kavanagh, and relates to the Sixth turn in the game. Working notes on the turn sheet reveal that Brendon decided to move search parties of 20 men from Hex 9 to Hex 8, and 15 men from Hex 13 to Hex 17. This is one of the most popular PBM games on the market at the moment. Designed, written and run by John Nicholson (founder of VORCON GAMES, the company which moderates the game in the UK), Vorcon Wars is a strategy game moderated using a BBC Model B. In the game, sixteen players compete in an attempt to gain control of the planet Vorcon, annihilating the opposition in the process. The planet surface is split into nineteen hexagonal zones, each hex representing an area of land of a specific type. Each land type has its own function: for example, if your troops capture an agricultural hex, then that hex provides your command ship with a specified quantity of food supplies each turn. There are eighteen types of hex, including sea, swamp, city and atomic-industrial zones. You, as the player, are the commander of an expeditionary force sent from your homeworld to conquer Vorcon. Under your command you have troops and various resources. Combat in Vorcon Wars takes place by deploying a specific number of troops to the hex that you wish to capture. Then a battle takes place between the attackers and defenders of the hex until one side surrenders. The outcome of combat depends upon the size of the opposing forces, their combat orders and land defence factors such as minefields, fortifications and terrain. 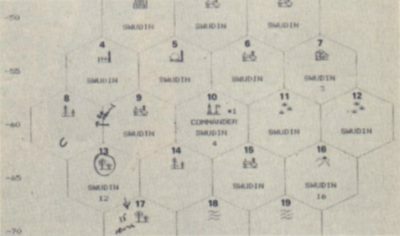 By capturing the right type of hexes and building up the right resources you can begin to develop spy satellites (to reveal the power of your opposition), rockets and nuclear missiles. Vorcon Wars is a very challenging game to play, and encourages the use of complex wargaming strategies as well as enjoyable diplomacy. A large number of people have been brought into the hobby by playing this low-priced game and, to date, battles have taken place on over sixty Vorcon planets. A game can last for anything between one and three years. If you want to try your hand at PBM then this is the game I would recommend you to sample first, since it develops all but the roleplaying/fantasy aspects of PBM — you’ll soon learn just how well allies are to be trusted! On first reading, the rulebook makes Vorcon Wars look ominous in complexity but after a few turns you should find your feet. John Nicholson is a good, fair and friendly GM who is renowned for his sporadic hints and tips to new players. FLAGSHIP, the PBM magazine has kindly allowed us to borrow their ratings for games reviewed in this column. Four out of the six ratings are derived from votes cast on a scale of 0 to 10 by readers of Flagship — which is the fairest rating scheme available. To join Vorcon Wars, send £1.50 to VORCON GAMES. This covers your introductory package and first three turns. Initially the turnaround is fortnightly, but there are weekly (‘Quick Turnaround’) games for experienced Vorcon players. Each turn after the initial three costs £1.00.